Prime Minister David Cameron is hoping to secure key EU reforms including restrictions on migration during a meeting with Czech leaders in Prague on Friday. Cameron will hold talks with Czech President Milos Zeman and Prime Minister Bohuslav Sobotka after leaving the World Economic Forum in Davos, Switzerland. The PM is hoping to gain key concessions from European countries at an EU gathering next month, before announcing the date of a referendum on Britain’s membership of the bloc. He is due to meet with EU leaders at a summit of the European Council on February 18-19, where he will seek to reach an agreement on several demands put forward as part of Britain’s renegotiation of its EU membership. The PM’s most controversial proposal involves restricting access to in-work and out-of-work benefits for EU migrants who have lived in the UK less than four years. Eastern European countries such as Poland, Slovakia and the Czech Republic are especially resistant to this demand, claiming it would infringe on free movement across the bloc. 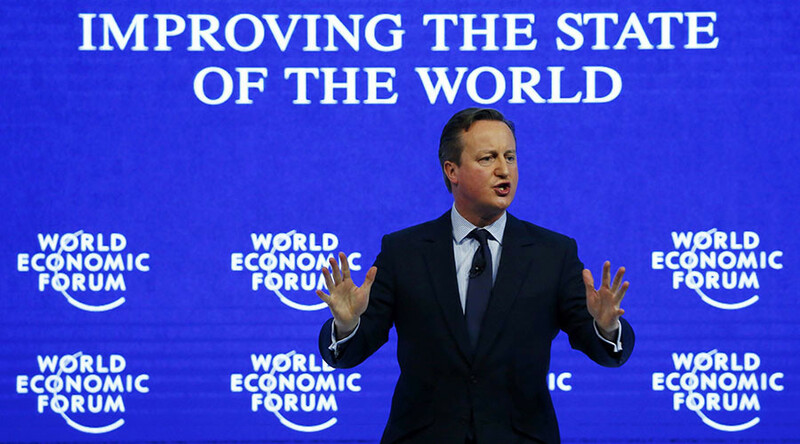 Speaking at Davos on Thursday, Cameron said he was willing to wait for the right deal from European leaders. “I very much hope that we can, with the goodwill that is clearly there, reach an agreement at the February European Council. I would like that,” he said. "I want to confront this issue, I want to deal with it, I want to put that question to the British people in a referendum, and go out and campaign to keep Britain in a reformed European Union. If there is a good deal on the table I will take it, and that's what will happen. The PM’s talks in Prague follow complaints by Tory MPs that they are being prevented by Conservative Central Office (CCO) from publicly supporting local party members’ campaigns to leave the EU, unless a pro-EU supporter is present to disagree with them. A letter from the Conservative’s director of organization warned all the party’s association officers that they would be breaching party rules if MPs were given free rein to speak out against the EU at their annual general meeting. The letter, which was sent earlier this month, provoked a fierce backlash from some Tory MPs, who claim the Conservative Campaign HQ (CCHQ) is trying to “gag” them. CCHQ subsequently backed down and gave MPs permission to make their views clear at association annual general meetings. However, referendum events will still be required to have speakers from both sides. The debate over whether or not the UK should remain in the EU has been heating up in recent days, with a group of 300 senior City lawyers throwing their weight behind the campaign to keep Britain in the bloc. The lawyers, led by Freshfields Bruckhaus Deringer partner John Davies, claim a Brexit would have a significant impact on their business and the business of their clients.